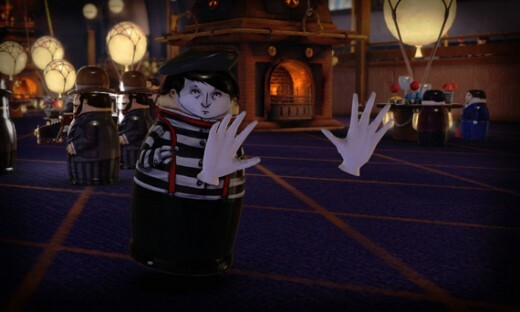 If any developer owns the franchise on weirdness, it’s Double Fine. Despite garnering critical praise, their games have never been Call of Duty in terms of commercial performance. 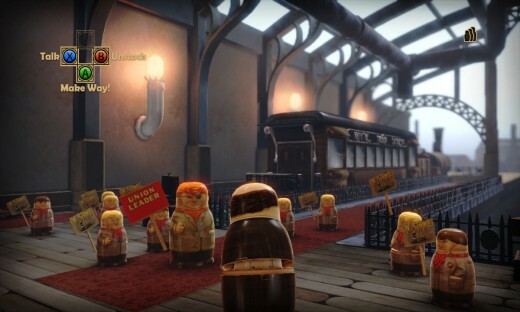 To counteract this, the developer has recently entered the downloadable space, which has allowed them to create a number of interestingly odd games on a smaller scale, one of which is Stacking. You are Charlie Blackmore, the youngest (and smallest) doll in the Blackmore family. When his father mysteriously vanishes, the family is succumbs to debt and are forced to pay it off by working as slaves for a dastardly Baron. It’s up to you to rescue your family and put an end to The Baron’s schemes. Presented through the grainy film and dialogue cards of yesteryear, the game is bursting at the seams with charm. Traveling through a miniature world watching numerous dolls humorously hop along expressing their colorful personalities always kept a smile on my face as I was playing. 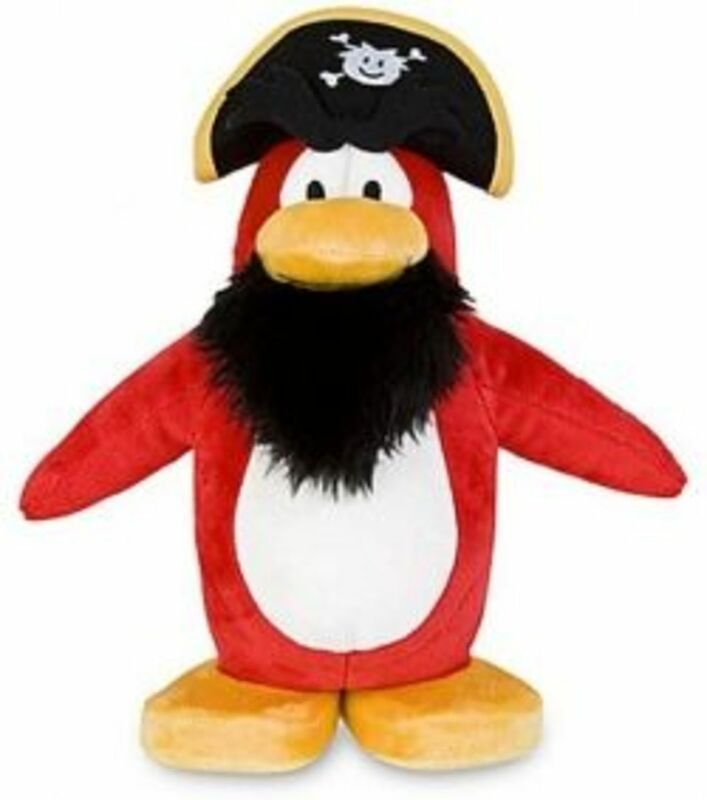 Each doll has a unique ability such as unlocking doors or repairing pipes to more unorthodox “talents” like farting or giving wedgies. As ridiculous as some of the skills are, most of them come in quite handy in solving the game’s many puzzles. While the some of the puzzles in this game are genuinely clever, others are just too obscure in their solutions. 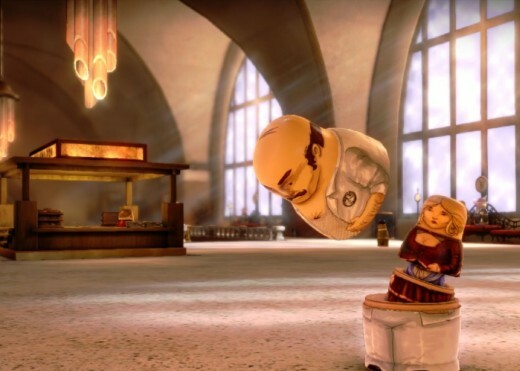 It got to a point where I ended up hopping into random dolls and trying their powers and winning by dumb luck, turning problem-solving into an exercise in trial and error. Every puzzle has multiple solutions, each requiring an entirely different approach to unravel them. There are also matching dolls sets to collect such as a family of magicians or a traveling film crew, as well as laundry list of challenges to burn through. 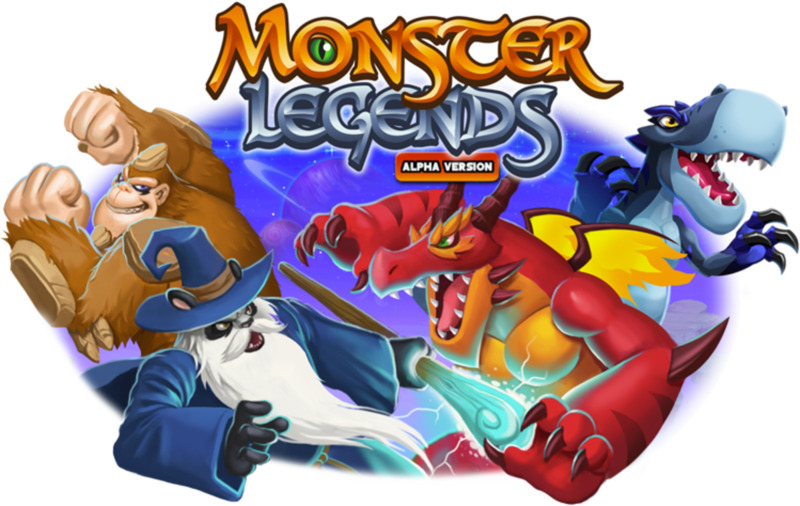 Since finding the other solutions or dolls is not required to progress, however, the main game itself is pretty short and can be completed in a mere couple of hours. 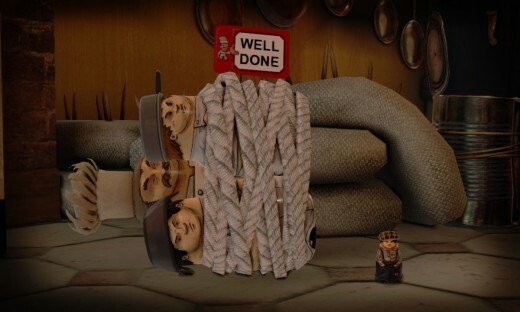 Length aside, the charm in this game is great and completionists will have fun finding every solution and locating every doll. 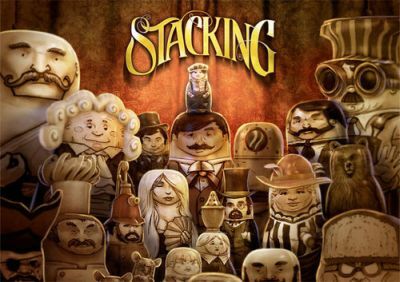 Even with its flaws, Stacking is a nice break from the high-octane triple-A games and as well great excuse for a grown man like me to sit at home and play with dolls.